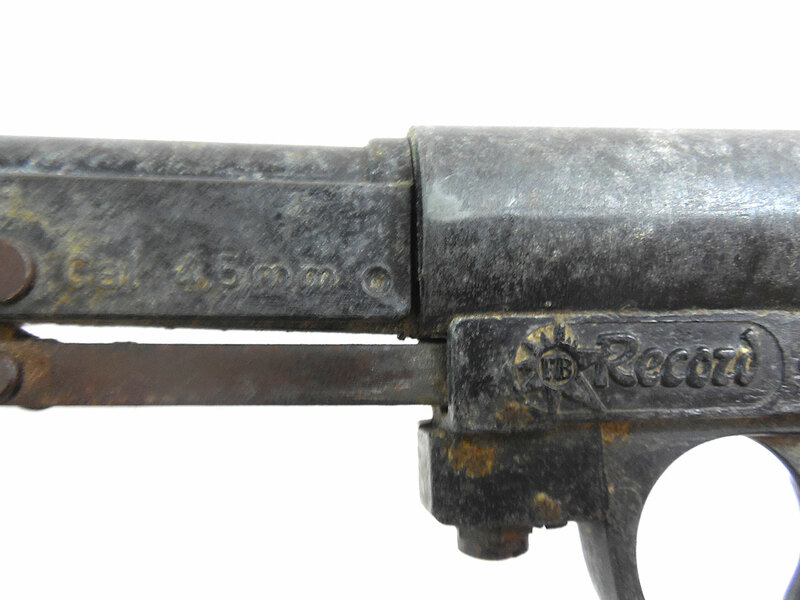 The FB Record LP2 pistol has a single shot spring loaded piston. 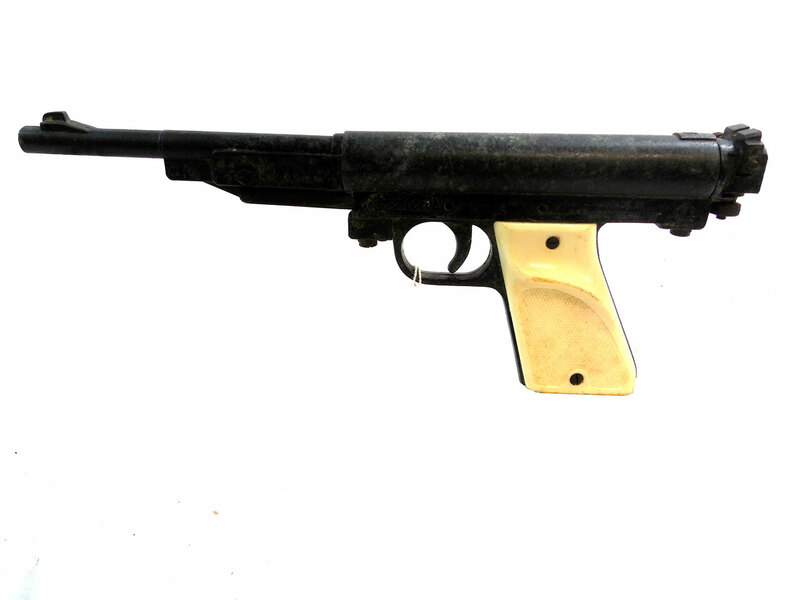 It also features break barrel cocking and white plastic grips with a right-handed thumb rest. 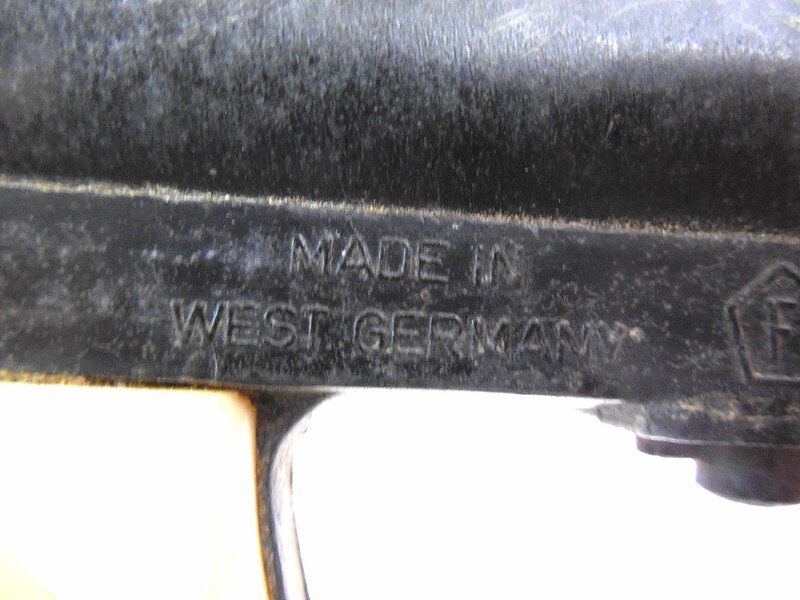 This pistol does not work, and it may not have all of its original parts. 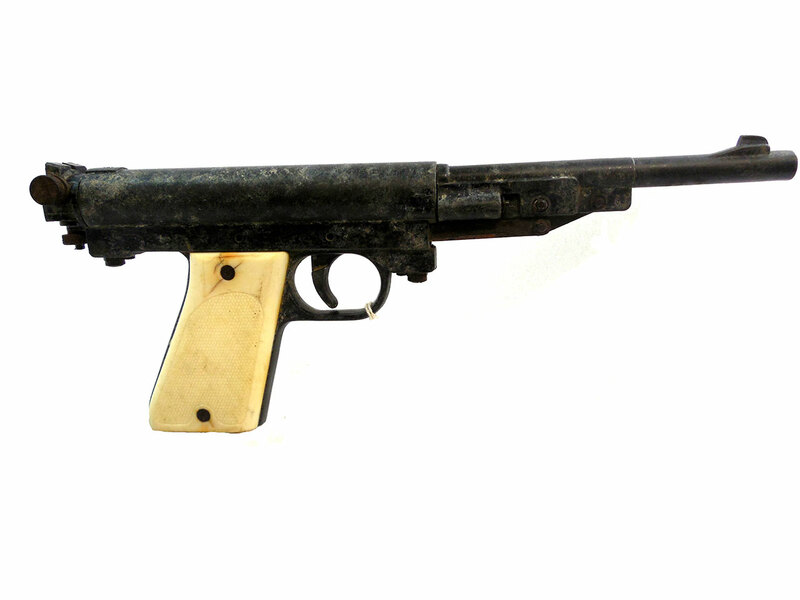 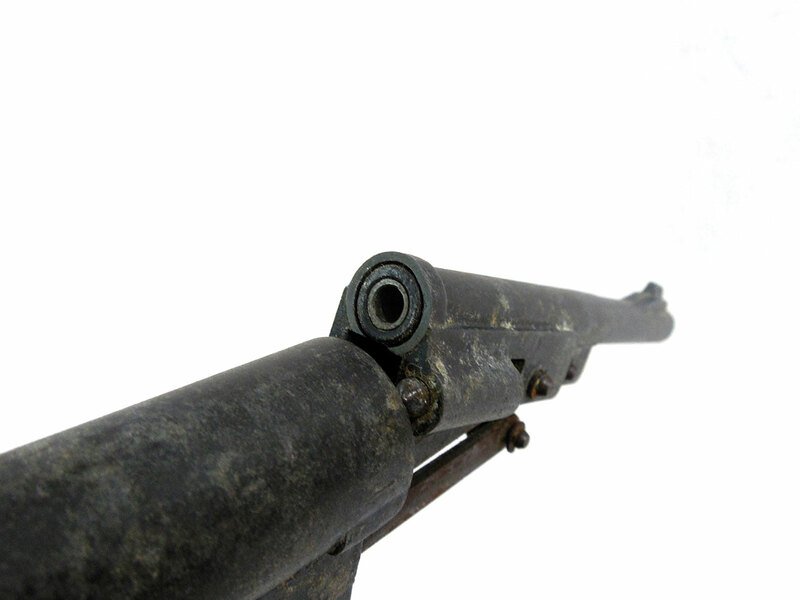 Most of the original finished is still on the gun and the grips are in good condition.